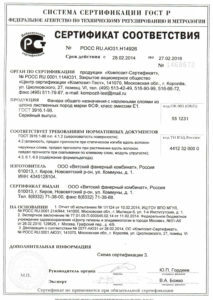 The company «Evropol.Moskva» in the construction market since 2001. All these years, the main priority is the delivery of high-quality, best-selling wood-based materials, insulation and a variety of metal products, produced in Russia and abroad, in the Moscow region. We have unlimited potential in the saturation of the market with all necessary for construction and repair work in a wide range. Buyers are invited to a rich selection of robust, durable, easy-to-use, affordable and quality, both modern and long-known material, proven in the market. Our highly qualified specialists have full information and can give advice on any realizable material to help make the right choice from the abundance of available products to meet your requirements and tastes. Our main customers — construction and trading company, but we are happy to serve and private developers looking to us, and thus have the opportunity to personally experience to see the benefits of working with the company «Evropol.Moskva».For clarity, we should dwell on the description some of our products to judge their variety and quality. It should be noted that the timber hardwood and softwood We sell at reasonable prices. Planed board drying chamber is suitable for construction and for finishing works. It can be used for interior and exterior of buildings, formwork, fences, construction of temporary structures. Ease of use of the board is that it is easy to cut out, process, assemble and dismantle. thickness range from a quarter to half a centimeter (25-50 mm). 2 Bruce planed drying chamber. 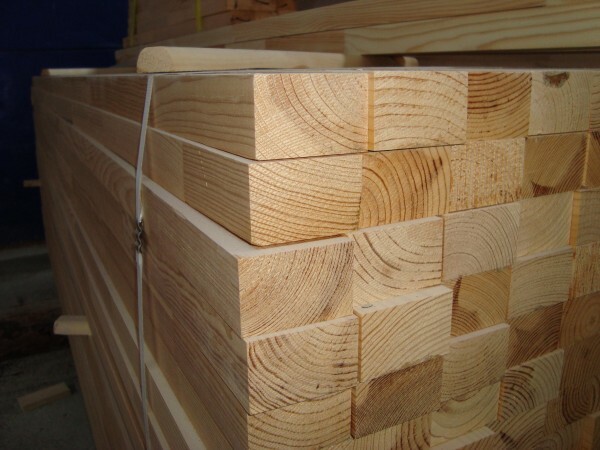 After processing and drying of timber in special chambers get ready to beam different cross-sections: 50 × 50 mm to 200 × 200 mm, which is widely used for the construction of low-rise buildings. Buy lumber at wholesale price with delivery in Moscow and the region — your privilege. 3 Lining according to European standards. Every developer is able to elevate their buildings through wooden clapboard affordable price. Special slots allow you to quickly and efficiently connect the board to each other, thus speeding up the process of finishing. The back side is provided with grooves ( «duct»), allow to ventilate closed surface while keeping dry walls and prevent rotting skin. Usual wall paneling and Lining in bulk at a lower price, coupled with the delivery will be a nice bonus for the residents of Moscow and the region, and the money saved can buy something useful. Developers or those who are going to make repairs, can afford building a warm and environmentally friendly wooden floor, as the price for this type of board is very attractive. Robust, wear-resistant, durable and beautiful flooring securely retains the heat in the room has excellent sound-insulating properties in floor decks. Europol Easy installation, long life and resistance to adverse conditions in different climatic zones is of interest to customers, and its resistance to mechanical stress and the possibility of repair makes it very popular. Having bought the board for better Europol at wholesale price with delivery in Moscow and the region, greatly increases your chances to solve the problem of quality, reasonable and timely development. Вoard with a face in the form of a convex timber entices price. A very common finishing material, which creates the illusion of a wooden house. Your dreams combine wooden architecture in a contemporary design with low expenditure for their implementation are very real: it is necessary to order a block house at wholesale price and we will promptly deliver both in Moscow and in the field. It is used for covering ceilings, internal and external walls of brick, concrete or foam concrete structures. It features easy cutting and installation, picturesque, requires careful maintenance. Acquiring stylized bar at wholesale price with delivery in Moscow and the region can make its structure refinement. Do you dream of a beautiful, comfortable and environmentally friendly wooden house? The company «Evropol.moskva» carries the dream. Buy us a wooden board unit house and you will be one step closer to its realization. We produce only materials of high quality coniferous tree that comes from ecologically favorable regions of Russia. Producer prices and fast delivery of the purchased material is our guarantee to every customer. Block House — a kind of board, and lining. Lining made of natural wood with a semicircular profile. For the production of the block house used coniferous trees that have individual characteristics and features. According to their appearance and performance, he is a worthy competition to any artificial decoration materials. For example, vinyl siding, despite the rather attractive appearance, it is inferior in all respects. The surface of the siding is only an imitation of the texture of natural wood also has a low insulating properties. House unit can be used as a material for finishing the outside or the inside of the room. It is perfectly decorate not only the facades of houses, and baths, porches, gazebos. Accurate simulation of logs with the outside and flat internal surface also enable designers to effectively beat the interior of the premises. The only thing to note is the size of the convexity of the board. For domestic work is chosen narrow boards with a small radius in order to save space used. strength. The service life of more than 70 years. Take a step towards the dream. Edged timber — a building material used in the construction of wooden houses and buildings. It looks like a wooden beam, which is cut off from all sides. 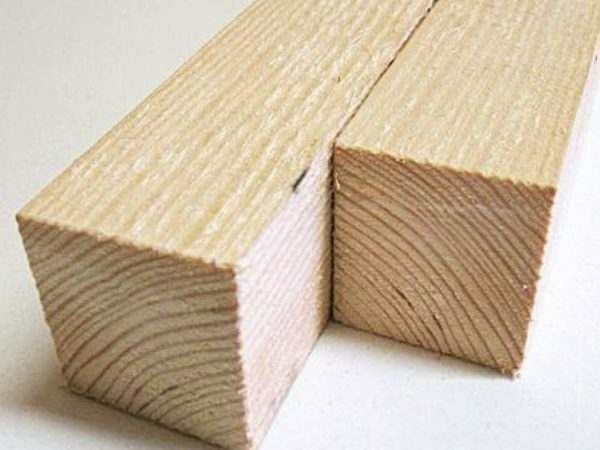 This type of construction materials used in various sectors of construction, and is the basis of other lumber — profiled and laminated veneer lumber. It has long been in the construction of wooden houses used by the log as a whole. It is known that the surface of the log can not be perfectly smooth, and hence different roughness and flaws are formed inside the building. That is what led to the fact that the technological processing of wood has been changed. At that time, when they began to be built the railroad, had an idea to use edged lumber in the construction of wooden houses. For a sample of this bar have ordinary sleepers. Cutting timber is made with 2, 3 and 4 sides. This bar is called, respectively, double, triple and squared. The most common and popular of them – it trehkantny timber. Any structure which will be built from this timber looks like a construction of whole logs. Interior walls will be suitable for any kind of a wide range of finishes. 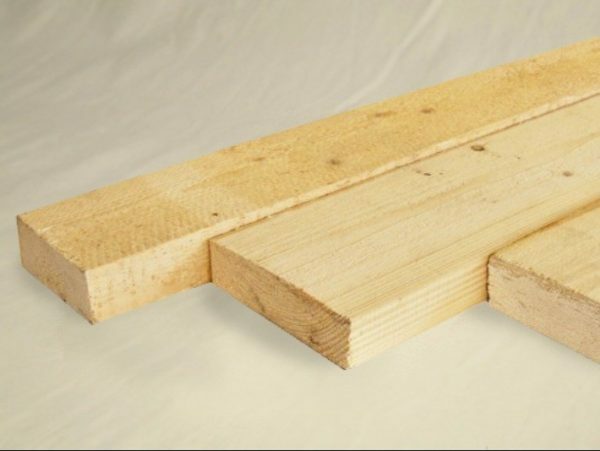 Edged lumber is widely distributed in the construction of buildings such as homes, saunas, gazebos and so on. The thickness of the timber varies from trimmer 20 to 200 mm, a width of 50 to 250 mm and the length is from 3 to 6 meters. All such timber shall be not less than 100 mm in width and length, or a building material will be called the bar. The leading advantage edged lumber is the perfect fire property, which is on par with the metal. A variety of other valuable properties of the timber includes an excellent thermal insulation, resistance to cracking and shrinkage, as well as environmental friendliness. The basis for this timber are such breeds of coniferous trees such as fir, spruce, larch, pine. This is due to the fact that it is the natural coniferous impregnated with natural resins, which is a great protection against wood beetles. The most sought-after edging timbers is a timber, which is made of pine species. Since there is almost no knots and trunk more direct comparison with other species of trees, which makes it most valuable. 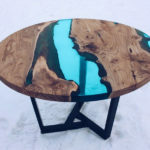 Over time, the timber from pine with a blue tint, which does not affect the properties of the material. For interior decoration use edged lumber from spruce, as it is not susceptible to change hue, is not resistant to rot. It has a loose structure, it is attached to the beam of spruce excellent thermal insulation. Most often used in homes edged timber, which is made of spruce. The most resistant to decay and moisture is a timber made of larch. Its value is that its strength increases at high humidity, which, of course, reflected in the cost of such a large timber side. But there are also edged timber and negative qualities. This property is deformed beam. Deformation occurs due to defective processing special means and artificial drying. But due to the fact that the trim bar is made entirely of softwood trees, it nestrashnye deformation. 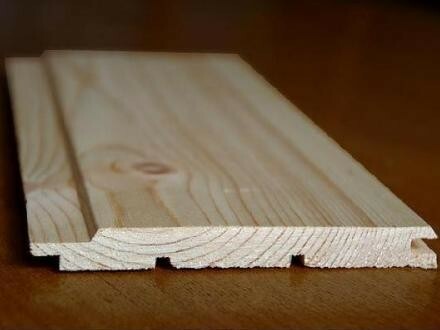 One of the positive qualities of trim lumber is structural uniformity. As well as high strength properties and excellent air transmittance. It is thanks to this useful as a «breathing» of the building, creating a clean environment in the house. Scope edged timber is big enough. With his erect vacation homes, cars, railways and platforms. Also edged timber, mostly of hardwood used in shipbuilding. The main advantage compared to conventional Lining finishing lining is its lower moisture content. In all other respects it is the same classic decoration material. Lining subjected to special treatment, so in the decoration of the premises does not shrink. Furthermore, the building material even at long operation is not deformed and does not crack. All this allows us to refer to the Lining finishing materials of the highest quality. Lining used in construction may be immediately after the purchase, because the material does not require special preparation of, for example, does not need to be dried or treated in some other way. If you want in the process of finishing the room to save their time, money and hassle, then buy Lining is the best solution. With any other finishing material, you will not achieve the same strength, reliability and durability of the building. An important factor, which I would like to emphasize is the good resistance of the material to various natural factors. Mechanical damage is also not a problem for him. You can not worry, on the surface will never appear mold or fungus. This material does not tend to rot, its appearance does not deteriorate during its lifetime. Lining produce only the most modern equipment and using the most current techniques that allows us to achieve the highest quality. Our company is ready to offer its clients the most favorable conditions for the purchase of siding. The material that we offer our customers is perfectly flat and smooth surface, it is highly durable and has a lovely smell of freshly cut wood. What is the range of application Lining? I must say that it is quite wide. Most often this material is used for the exterior or interior decoration. It is perfect for decoration of balconies and loggias, as it is often used for decoration of saunas and baths. Our company is ready to offer its customers the highest quality acquisition Lining both wholesale and retail. As one of our regular customer, you may qualify for discounts and savings bonuses. Our site allows you to get acquainted in detail with the full range of construction and finishing materials and choose the option that will be advantageous for you. One of the increasingly popular types of flooring today becomes Europol, which is a high-quality floorboards scrape from selected wood, impregnated with special antiseptics and varnish. Since the products undergo several stages of processing of high-tech equipment for its manufacture — a modern wood processing complex, which includes also the product of heat treatment means. Europol is not only convenient to use, but also for installation — Ease of operation guarantee the working time savings, and pre-treatment does not require any additional effort by drying or humidity control. Due to various impregnations appearance boards causes only positive emotions, and is gaining popularity with each passing year not only for buyers but also designers, emphasis is placed on this material in the design. Usually, for ease of calculation of the estimated cost, the board decided to specify the price per square meter. It is also one of the important factors that affect the pricing is kind of wood, from which the batten was made. If you take the time to study the proposals on the Internet or communicate with consultants, you can get additional discounts or wholesale orders, or to learn about the best promotions or special offer. It has already been mentioned a number of benefits and advantages of Europol, one of them is, first of all, environmentally friendly. This is due to manufacturing boards made of natural woods, which is the health guarantee of security, operational reliability and a long life. High-quality machined surface can provide not only an attractive appearance, but also sufficient noise insulation that will be appreciated, if you live in an apartment in the city, not in a country house. In addition you will be able to save on the installation of the floor, because the dry Europol is very easy to install. 35 x 120 x 2000 — 6000 мм 430. Once again it is worth noting is the quality of Europol as sound insulation — you can no longer take care of any extraneous sounds and restless neighbors, feeling the comfort, because Europol jamming it all. As we 10know from history, the wooden floors were used in the design of even the royal chambers and palaces 10and served ten years, and during removal did not lose their quality and can be used again for other purposes. In addition, Europol rather favors the imagination of designers and allows you to translate a lot of ideas by changing colors, or make a certain texture. Someone gives boards light, pastel colors, some prefer more saturated colors — in any case, it will look attractive and beautiful. 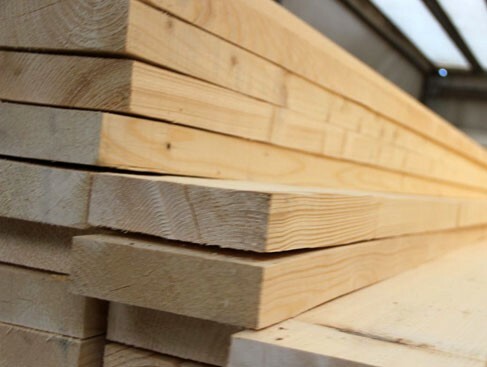 Although the main tree species for the production of Europol considered pine and larch, this is not the only option, because it is the wood species depend directly on these figures, color, texture, and, as a consequence, the price. Although pine and has certain characteristics, and larch — strength, the consumer is free to choose from a variety of materials on the market, to maximize the best qualities for themselves. At the end we would like to identify the role of a water resistant adhesive for installation and further exploitation — it will help to deal with the gaps and irregularities Europol. Natural wood is still popular and fashionable destination even today. In our time with enthusiasm environmentally friendly housing for wood paneling — a sign of concern for the environment and their own health. Beam made of solid wood is quite expensive and facing them the whole house is not everyone can afford. But do not discard the idea as untenable, because there is an alternative. Board imitates natural timber visually almost identical in appearance array of beams and a lot cheaper. In essence, a kind of lining, but much more impressive standard. The main advantage of the board — is its versatility. The use of this board is very flexible, and it is used inside or outside the building in the finishing works. Lining of the board provides a clean atmosphere indoors and only slightly increases the cost of repairs carried out in comparison with the use of artificial materials. All materials used for the production of boards environmentally friendly and do not cause any harm to humans or pets. Dispose the board and its waste as ordinary household garbage. Imitation timber along with a quality appearance and has good strength characteristics. Due to the thickness and rigidity, it is resistant to intensive mechanical stress. On the surface of the board does not appear dents and chips, and its geometry remains unchanged throughout the whole lifetime, unlike plastic products. A huge advantage of the castle type of interface. Rods have a groove on one side and the other thorn, belongs to the neighboring groove connection is very tight. The gaps in such joints are absent and reliably protects it from moisture and prevents the boards in the series shifts. Guaranteed quality and fixed characteristics of the product — it is the creed of our company, because we deliver an imitation timber directly from the manufacturer. Facing board is made from high-grade wood from ecologically clean regions of Russia. We can deliver the goods to the consumer in unlimited quantities and can therefore offer bulk purchases on a permanent basis. In Moscow and the Moscow region the company will offer delivery of our transport. Although the price of the party depends on its size, all of our customers and wholesalers, and procuring small volumes will be pleasantly surprised by the very reasonable prices, special offers and all sorts of nice discounts to our regular customers. Such material is edging board is always popular with buyers in the construction markets. This is not surprising. After edging board is used not only for the construction of various wooden constructions, but also often used in interior decoration. For example, as a floor covering. But what made this stuff? Cutting board is obtained by longitudinal cutting logs and further remove the wane, or, in other words, the uneven edges of the log with bark. The width of this product is typically twice the thickness. From edging boards made by treating another planed. Cutting board made from both deciduous trees and coniferous trees. The characteristics of these products have some differences. 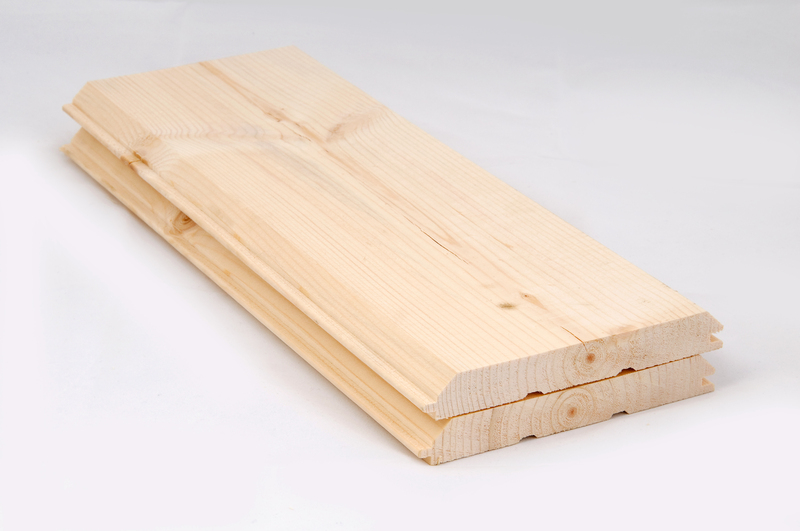 spruce and pine are most often used for the production of boards softwood. This building material has high moisture resistance, high resistance to mechanical stress, has low thermal conductivity and easily processed. In addition, this material copes well with the influence of aggressive media. Edged board hardwood also have some special features. For their production use oak, birch, aspen, poplar and others. Such material has a denser structure compared to conifers. In addition, the deciduous trees have a beautiful texture, so often used in the manufacture of furniture. With special impregnation seeking to increase their resistance to rot and attacks of various pests. The breed of the tree. Variety. The higher the grade, the more smooth board with a minimum of or no knots and cracks. A calibration. Calibrated board corresponds exactly to the dimensions specified in the un calibrated there are some differences. The number of processing steps. In addition to all the board can be made on an individual customer’s order. Due to this construction of the project can be carried out not on the basis of parameters of the existing material, but to get the right size of the board, thus simplifying operation and reducing the amount of waste. All the products before you get in the building materials market is quality tested to comply with the standards. When buying edged boards it is necessary to get acquainted with the quality certificate. All standards of production of this material are fixed by law. Cutting board used as a building, and in some areas of production, for example, in the manufacture of furniture. It is used for the production halls, kitchens, bedrooms, and various interior items. Besides, edged board is widely used in the construction of various buildings, such as houses, baths. Used for mounting the roof, interior walls of premises and other finishing work. It is a building material in addition to all its advantages, is also completely harmless. When ordering edging boards need to tell the client what kind of work will be carried out. Depending on the grade of selected wood planks dimensions and other parameters. If the material is needed for the rough work, the most right will use low-grade boards. They have a relatively low value, a sufficiently good performance characteristics. During the construction of most commonly used bar trim. It is the most versatile of all existing materials. Its relevance and popularity linked to the three main indicators. It is a low cost, the ability to be used in any weather and eat where they like. Its production takes place according to the latest techniques and only using softwood, as it contains unique features that help the material to restrain the enormous load. The technology consists of sawing logs into squares. The desired percentage of moisture required is achieved due to atmospheric drying, it is 18%. It does not change shape, and therefore is a reliable material which can be used for a long time. Created from coniferous trees trim bar is impregnated with resinous substances, to protect against rot and make the material more resistant and durable. 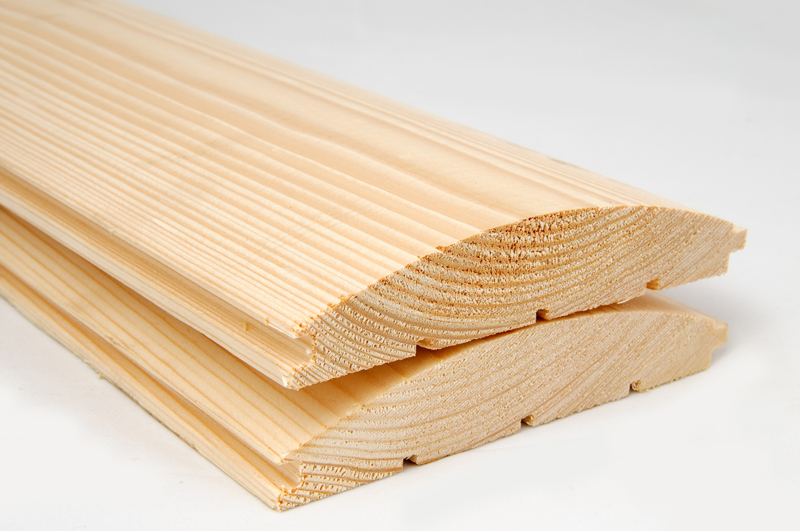 For the manufacture of bar trim most common use have the following tree species: pine and spruce. In first place is pine, since this type of tree is qualified high technical performance, evenness of the barrel, resistance to rot and relatively low cost. The weakness lies in the possibility of «blue» material. But it affects the appearance, but on building performance material has no effect. Spruce, on the contrary, is subjected to rotting in this connection is used in building interior applications accompanied. The main difference from spruce pine that edged bar Spruce retains heat well, because it contains more crumbly structure. In our company with the latest techniques performed bar trim that has the following dimensions: 25 × 50 mm, 30 × 30mm, 30 × 40mm, 40 × 50mm, 40 × 60 mm, 50 × 50 mm, 50 × 100 mm 60 × 60mm, 70 × 70 17mm. We have a large number of quality certificates that testify to the environmental friendliness of our products and our timber passed compliance to international standards and domestic state standards. The high demands made by our company are not reflected in the value of the goods. Our main result is that absolutely any user who has decided to do the construction or repair could not only buy inexpensive price, but also a quality product in our company. We have built a strong chain of our company and customers, eliminating unnecessary middlemen. Now we produce and sell the products themselves, thereby saving their money and, therefore, obtain a low cost that is acceptable to consumers. We are always waiting for you in our shop. Our sellers will inform you about the various products and delivery service transports your order-purchase at any place situated within Moscow and the Moscow region. Our company has many years successfully specialized in the sale of lumber. Our products are not only high enough level, but differs very reasonable price. The benefits of our work concerns a wide range of delivery. We are ready to bring your order even in the most remote region of Moscow. If you plan to make a major purchase, then you have an opportunity to save. Wholesale customers can be absolutely any person or organization. 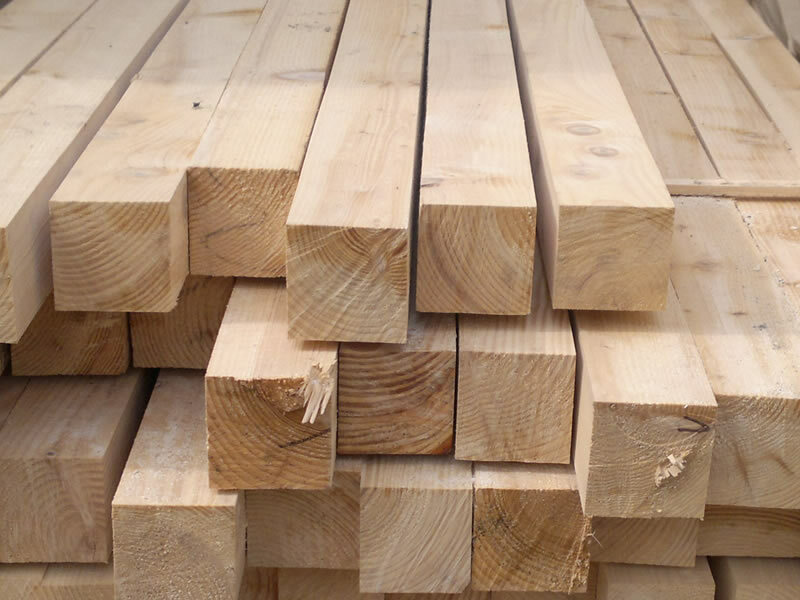 Just leave a request and in the shortest possible time we will produce for you any kind of timber. Thanks to our own production, which is owned by our company, as well as modern technology, we are ready to offer our customers planed boards, which are always available. To make an order, you can at any time convenient for you. To do this, call the phone number or leave the application on the company’s website. Our board is made exclusively from the valuable species of trees, which is why has a number of advantages. Traditionally, such a material is used to create the interior finish. Also it is quite often used to build a decorative design floor if necessary. Among our wide range of products, each guaranteed to pick up what he needs! Our managers will help determine the choice and movers carefully and promptly deliver your order to a specified location.